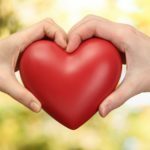 What is high blood pressure? It is said that hypertension or high blood pressure affects 8 millions Malaysian citizens and what’s more surprising is, not even half of those affected received the right treatments until it was too late. 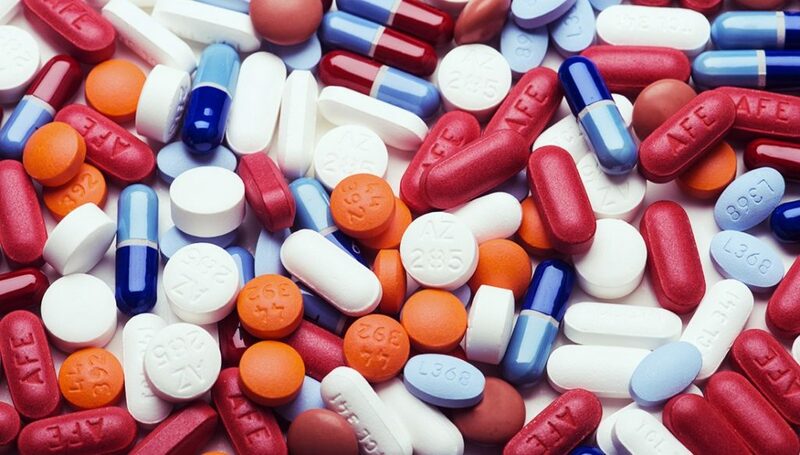 This silent killer should be taken seriously as many people are oblivious when it affected them when, in fact, people of all ages are at risk of being affected and also would cause some serious complications especially in those golden age. Get in the know and educate yourself about the cause of hypertension, the symptoms, types as well as the treatments and who knows you would save yourself and your loved ones from this ailment. Hypertension or commonly known as high blood pressure, is actually the measurement of pressure of your blood against the artery walls. Untreated high blood pressure would cause a damage to our blood vessels which would put us in danger of getting heart diseases, kidney diseases, stroke and many more. 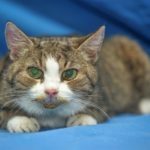 It is aforementioned as silent killer as the signs and symptoms could go unnoticed. What is high blood pressure and how did it all happen? The real cause of hypertension is still unknown, yet, millions of lives are affected by it. But, it is found that 1 in every 20 cases of high blood pressure is the result of concealed condition or medication. 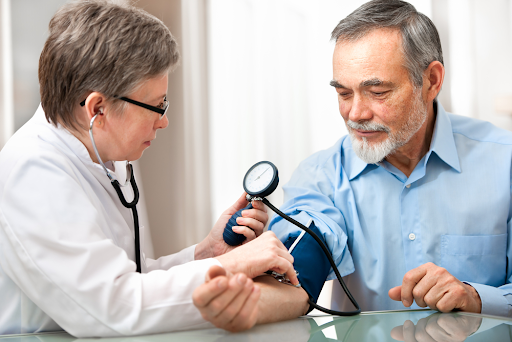 Older people around 60 years of age are more prone to get hypertension. The arteries inside our body become stiffer and narrower due to plaque build-up as we age, which leads in the high readings of high blood pressure. Some ethnic groups are more prone than other groups in getting hypertension. Maintaining an unhealthy lifestyle would increase the risk of you getting hypertension. People who drinks alcohol regularly and people who smokes tobacco frequently has a higher risk of the increase of blood pressure. Both men and women are at a high risk of getting hypertension. 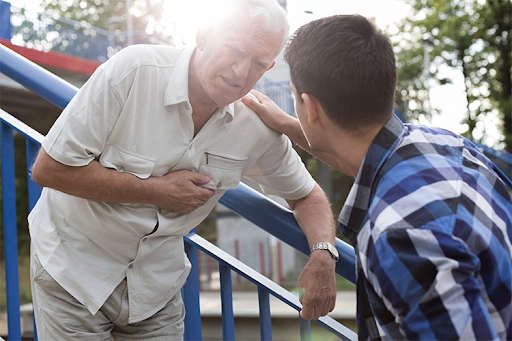 However, men are more prone to get hypertension at a younger age while it the rate of cases in female patients will be higher as they get older. Diseases like cardiovascular, diabetes, chronic kidney and high cholesterol can resulted into hypertension as people get older. What is high blood pressure and what are the signs? There are no visible signs of hypertension, however we can measure the blood pressure using a blood pressure monitor, or sphygmomanometer. 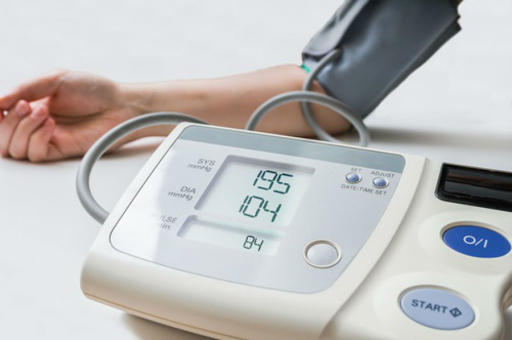 A high blood pressure readings can mean a lot of things, especially when it’s only visible for a short time as it acts as a response to many situations. For examples, if you’re stressed out or just finished an intense workout, it can briefly increased the blood pressure of a perfectly healthy person. For this sole reason, doctors may only able to diagnose hypertension after getting few blood pressure readings over time. Systolic readings of 130 mmHg refers to the pressure of the blood when the heart pumps it throughout the body. The diastolic reading of 80 mmHg on the other hand refers to the pressure as the heart relaxes and starts to fill it up back with blood. If it ever occur that the readings showed a hypertensive crisis, wait 2 or 3 minutes before repeating the test again. If the reading is the same or higher, seek immediate medical attention at the nearest hospital. What is high blood pressure, in terms of the symptoms? As we said earlier, hypertension can go almost unnoticed, hence the notorious reputation of being a “silent killer”. Hypertension, while being sneaky disease as is, will cause damage to the cardiovascular system and also other internal organs. It is advised to check your blood pressure periodically as early detection can help preventing a much more serious conditions. In some cases, high blood pressure would cause the affected to sweat profusely, have anxiety, sleeping problems and also blushing. And the rest, no symptoms at all. At hypertensive crisis level, a person may experience a severe headache, nausea, and also nosebleeds. Hypertension raise a number of health problems risk, including a heart attack and also cause complications such as atherosclerosis, which is the formation of plaque due to the narrowing of blood vessels. This makes it difficult for the heart to pump blood all over our body and lead to the spike up of blood pressure rate. Regularly checking up on the blood pressure would help people to reduce and avoid a more severe complications altogether. What is high blood pressure in terms of the types? There are 2 types of hypertension which are; the one that occur by itself is called primary or essential hypertension. And the other one which caused by the result of another condition is called secondary hypertension. Primary high blood pressure can be caused by multiple factors which includes blood plasma volume, activity of the hormones that regulates the blood volume and pressure. It can also be caused by environmental factors similarly as stress, or lack of physical exercise. 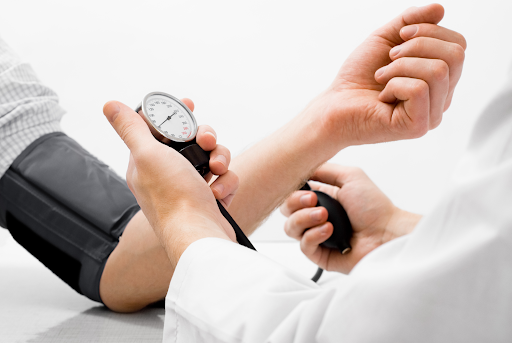 Treating an underlying condition of hypertension would see a positive progress over time. 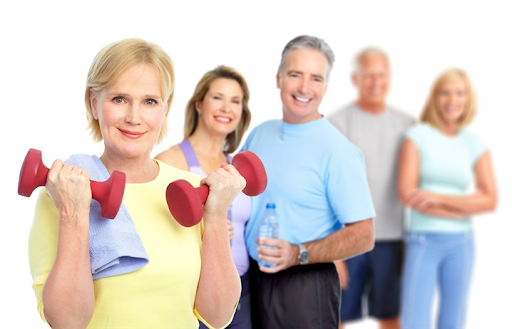 It is recommended that hypertension patients commit to at least 30 minutes of moderate intensity, dynamic, and aerobic exercise. This can range from walking, jogging, cycling, or swimming on 5 to 7 days per week. 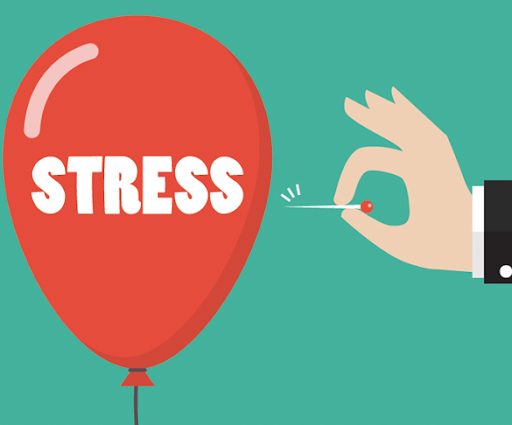 Learn to handle stress or develop strategies to control your stress as it may affect the pressure of your blood as well. Coping stress with alcohol, drugs, tobacco or unhealthy diet would only work for a short while, however, in the long-term, it would create many other illness that wasn’t even there in the first place. So, avoid them at all cost. It’s a good practice to always check the labels of the medication when you bought it over the counter. Ask for your doctor’s prescription so that you won’t face any additional complications as well. There you have it, you know the answer to “What is high blood pressure”. It is wise to educate yourself on the cause, symptoms, types and of course the treatments of hypertension. But, most importantly, you need to get yourself protected with our AXA eMedic Online Medical Card, from only RM32 a month, we will cover your medical expenses up to RM100,000 if the need ever arises. Best of all, we also got your kids covered! 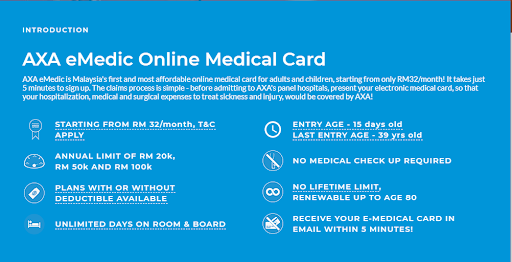 AXA eMedic Online Medical Card – Now available for kids!